I’ve been surrounded by dogs all of my life. My first word (after “mom” and “dad”) was “down!” because my mom would always tell the dogs to get down when I was eating in my high chair. I’ve been out in the open field coursing and lure coursing fields almost right away, riding in my mom’s backpack. 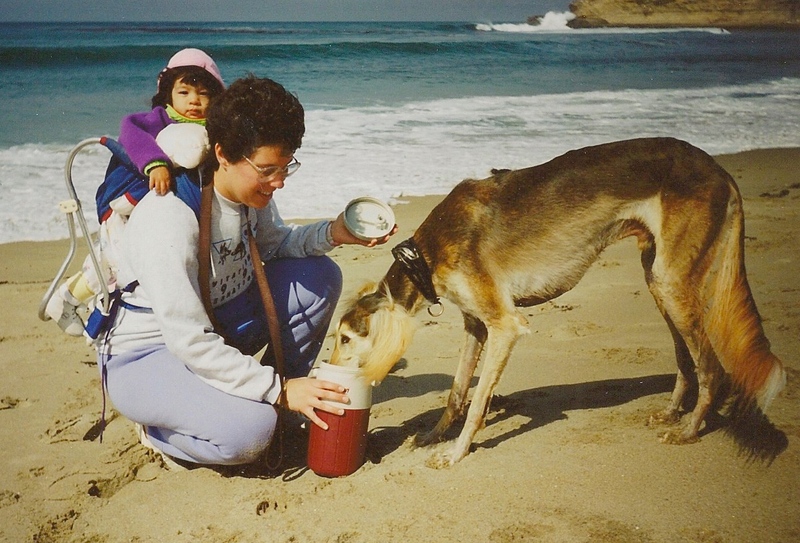 My first time in the dog show ring I was five years old and showing my Saluki, Shadow. 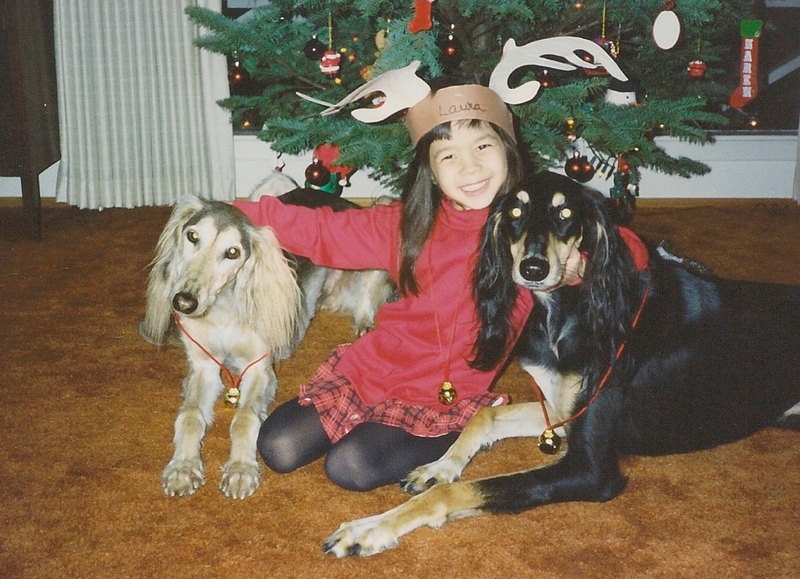 In 2000, I won the American Saluki Association Junior Handler of the Year, which, at 10 years old, I considered to be my biggest accomplishment and proudest moment! At a very young age, I knew I wanted to be a veterinarian when I grew up. All through my years of school I had the same passion, I didn’t seem to know any different. After high school graduation, I enrolled at the University of Nevada, Reno as a pre-veterinary student. After about a year as a pre-veterinary student (with rumors of the program being possibly cut from the university) I decided to step back a second and look at my life and where I thought I was going. It was then that I had a defining moment. Maybe this isn’t the career that I should be pursuing. Maybe this is just the only thing I know. Can I really handle 8-12 more years of school? What will my family and friends think of me giving up? Will they be disappointed? Am I really giving up, or just turning a new chapter in my life? Dogs can be my passion; they don’t necessarily have to be my career as well right? These questions ran through my mind for weeks, I drifted off during conversations thinking about them, I lost sleep over them…they consumed me. Finally I decided that I would change my major. I chose Business Management because I felt like I could go anywhere with that degree, even back to the animal science field. I got a job at a financial group in town (thought I could follow my dad’s footsteps), and realized very quickly that unlike my wonderful dad, I cannot look at stocks and numbers all day (and I know there’s a lot more to what he does than just that! Sorry dad!). So here I am, three months away from receiving my Bachelor’s in Business Management, working at a well-known veterinary specialist hospital, and trying to make it all connect. Achieving my goals through my passions.